Yesterday I found myself reflecting on two different issues that I think about a lot: depression and conflict. I’m about to start writing a chapter for my mindfulness book on depression so I’ve been mulling over what the experience of being depressed Is like, and what things help and hinder when we’re in that place. At the same time I’m becoming fascinated and concerned by the processes of conflict between people which seem to inevitably happen in all the academic and activist groups I’m part of. I’m wondering what might be done to maintain some kind of useful dialogue, rather than people convincing themselves that the other side is wrong and bad while they are right and good, and thus ceasing all engagement. Even as I see the problems in this approach I recognise the same tendency in myself. As these two lines of thoughts unfurled themselves yesterday I found that they began to weave together into a similar set of ideas, so I decided to write a little about the patterns that I see in how we experience depression and conflict, and in how the experience can shift. Perhaps I shouldn’t be so surprised that these ideas have come together: I deliberately started my book on relationships with a chapter on the self because of the connections that there are between how we relate to ourselves and how we relate to others. When I reflect on being depressed the experience is one of being simultaneously tuned out, but turned in. What I mean by tuned out is that when we’re depressed many of us become terribly concerned with other people and the outside world. We monitor ourselves closely through the imagined gaze of others and judge what we think they are seeing very harshly. We become anxious about what others will see in us, and frightened that we will get it wrong somehow and be exposed in all our uselessness. Decisions become very difficult because we are so tuned out – trying to be okay for everyone else – that it is almost impossible to tune in to what we want and need ourselves. We might find ourselves busily rushing around trying to please everyone and not letting on how much we are struggling, or we might withdraw from contact as much as possible for fear of what others might see if we let them in close. At the same time as being tuned out, we are also turned in. While we are hugely concerned with what other people think of us or how we are being seen out in the world, we don’t really see or hear the people around us because we are so turned in and focused on our own struggles. We often spend a great deal of time in internal conversations with ourselves about whether something is wrong with us, what it is, and how we might fix it. We view other people in terms of their danger to us (‘they might see me as I really am!’), or the possibility that they might be able to help (‘maybe they have the answer’), but it is hard for us to make the shift that is necessary to understand how they are feeling and what is going on for them. Often we assume that we are the only person who is this bad and full of problems, and we are so fixated on not showing other people that this is the case, or apologising to them for our perceived wrong-doing, that there is no space available to turn towards their experience and let go of all of our own stuff for a moment. When I think about the moments of relief when that heavy tangled weight of depression has lifted, they are often moments when I have managed to ‘turn out’ in spite of all this. Perhaps somebody else’s pain has pierced my bubble, or in professional mode (as a tutor or counsellor) I’ve had to put my stuff down and turn towards another person to hear about their struggles, or I have remembered how this worked and deliberately reached out to somebody else and asked how they are doing. Sometimes the relief just takes the form of sitting on a train or walking down the street and suddenly opening up to the fact that all the people that I see have their own fears and desires, tragedies and triumphs, which are just as precious and concerning to them as mine are to me. This turning out works on several levels. On a very basic level listening to somebody else, or imagining their world, means that our mind is occupied with something else for a moment and we have a brief relief from the clatter of noisy and critical thoughts that has been exhausting us. Then there is the way that helping somebody else (anything from flashing a kindly smile through to giving them a supportive shoulder to lean on) can leave us feeling better about ourselves: we do have something to offer after all. Perhaps most fundamentally though is the sense of connection to others which is an antidote to the sense of isolation and alienation that is a major element of depression for so many of us. If people let us in through opening up to us, or just reveal their pain on their faces, we might realise that they struggle too, often in similar ways to ourselves. We realise that they are also scrutinising themselves constantly with a stream of critical comments running through their heads. We are no longer alone. In fact that pain is the very thing that links us to everybody else. Related to this it is often the case that in finding compassion for another person we become able to find a little of the compassion that we need for ourselves. This is an important part of what I’m calling tuning in. Instead of only being attuned to what other people think of us (whether we are normal or abnormal in society’s view, whether or not this person approves of us, etc.) we can tune into our own feelings and experiences. By turning out and really seeing and hearing the other people around us we might realise that they aren’t really that concerned with us because they are so busy worrying about themselves. Or, if they are judging us and disapproving of us, we might realise that they are doing this out of their own pain and anxieties rather than because they are seeing any true flaw in us. For example, it might be that putting us down gives them a brief reassurance that they are okay, when they secretly fear that they are not. Even if there is an element of truth in any criticisms they are making of us, we can manage to hear it and bear it because we are no longer trying to present an unreal perfect image to the world. We are turned out enough to be able to appreciate our impact on other people, and tuned in enough to own up to such things without thinking that it means that we are a terrible person in total. When we are depressed, or otherwise suffering, it doesn’t really matter whether we start by turning out or tuning in. Either one begins to make the other easier. So it might be that we deliberately try to empathise with other people or imagine what they are going through, and that gives us the space to find a bit more compassion for ourselves. Or we might start by tuning in to ourselves – sitting with however we are feeling without judging it or criticising it – and that might enable us to open up and see the other people around us. How are similar processes involved in conflict situations? It seems to me that often when a conflict bubbles up our reflex response is to tune out but turn in. We focus entirely upon the badness and wrongness of whatever has been done to us (tuning out), while our concern with the pain and suffering that the other person has caused in us means that we turn in on ourselves and find it almost impossible to hear where the other person is actually coming from (turning in). This pattern is what leads to the escalation of conflict. Often both people or groups regard themselves as the wronged parties (tuned out) and both are so concerned with the suffering that this has caused to them that they can’t find any empathy for the others involved (turned in). Under those circumstances each thing that one person or group does is interpreted as a slight by the other, who then try to express their pain and anger at what has been done to them which is read as an overreaction and unreasonable response by the original person or group who then responds defensively. 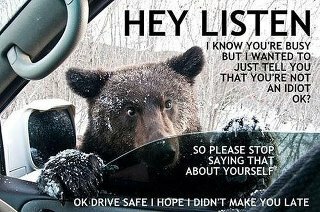 We are all prickly and hyper-aware of everything that the other person says and does (tuned out), at the same time as being defensive and protective of the sore spots in ourselves that the other person is (often inadvertently) bashing up against (turned in). This means that we tend to interpret what ‘they’ do in narrow and simple ways, often assuming that they are acting out of malice or personal defects while we are very aware of all of the complexities of the situation that have led us to act in the ways in which we have. In some ways conflict is the opposite of depression because we are hard on the other person and see them in limited ways, while being much more understanding of ourselves (whereas in depression we are much more forgiving of others than we are of ourselves). However, these kinds of conflicts and depressions often have the same thing at their root: Our secret vulnerabilities and shames which we are afraid might be exposed. In both cases we are hyper aware of others who might be seeing these things (tuning out) and defending against the possibility that they will reveal something we fear is there (turned in). But in depression we defend by withdrawing and separating ourselves off, whereas in conflict we defend by lashing out and trying to make our pain all somebody else’s fault. It follows that we can also shift conflict situations in the same ways that we shift depression. We can attempt to turn out and/or to tune in. Again it doesn’t really matter which one we shift first, it will probably make shifting the other one easier as well. For example, we might start by tuning in. Instead of allowing ourselves to react in a knee-jerk defensive way to the other person or group, we might sit down on our own for a while with the aim of listening compassionately to ourselves: Why it is that whatever is happening has hurt us so much? Each time we start trying to list whatever the other person did wrong and why they are so bad we can gently bring ourselves back to tuning into ourselves instead: What are we feeling? What does it remind us of from other times in our lives? Which of the vulnerabilities that we know that we have have been triggered by this situation? Alternatively we might start by turning out. We might recognise how we are limiting the other person or group by imagining them as just stupid, bad, crazy or malicious, and start trying to open up to the fullness of what they are and really trying to listen to where they are coming from. We may remind ourselves of the complex and multiple reasons that have led to us responding in the way that we have, and try to assume that the same will be true of the other ‘side’ of the conflict. In Rewriting the Rules I suggest we might turn our common accusation ‘how could you do that!’ into a genuine and curious question ‘how could you do that?’ This might involve us on our own imagining all of the different reasons why the other person or group might have done what they did (given what we know about them if they are somebody we know, or just what we know about people). Alternatively, or after this, it might involve us sitting down with them with the intention of really listening to where they are coming from and trying to create a situation where they feel safer to tell us this. The combination of turning out and tuning in will hopefully mean that during such conversations we can be more aware of what is triggered for us, so that we can respond to the situation itself rather than bringing in all our previous baggage. Tuning in also means treating ourselves kindly so we are less likely to take everything else somebody throws at us. If they are still in conflict mode then we can hear the pain behind their words, while not remaining in situations that are hurting us or taking on board criticisms that are unfair. This may involve, for example, insisting on more time apart before trying to communicate, or asking somebody else to mediate. Of course every depression and conflict are unique to the people involved in various ways, and I will not have captured here all the different things that they can mean to different people at different times. With depression there are aspects of the social situations which are involved that mean that another important element is turning out towards wider society and the ways in which it encourages that self-monitoring, critical, way of being with ourselves. I’ve written more about that here and here. With conflict there are some important things to tease out about how we deal with very real power imbalances, oppressions, and privileges which are often in play. In my view the compassionate approach makes it more, rather than less, likely that people will be able to own up to these things and speak openly about their impact, but I also understand the fear that compassion and empathy for others could smooth over such things and lead to an acceptance of abusive and problematic situations. I write more about those tensions here and here. I hope that the idea of shifting from tuning out and turning in to turning out and tuning in is a helpful one for thinking through your own experiences of depression and conflict, and I’d be very interested to hear other people’s reflections. There’s more about how to tune in in my Staying with Feelings zine, and this post about noticing. There’s more about depression and conflict in relationships here, here, and here. 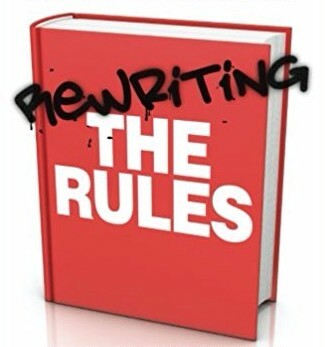 You can find out more suggestions for practical ways of turning out and tuning in in the Rewriting the Rules chapters on self (in relation to depression) and conflict (in relation to conflict), and in my Social Mindfulness and Self-Care zines. I *love* this post, and all the concepts in it, but I did have to read through each paragraph a couple of times each as all of the tunings and turnings and turnings and tunings sent me a little bit cross-eyed! I think it could make an excellent tongue-twister! Heh yes there’s a positive and a negative to using such close words! I had to keep an eye on them when I was writing it too.